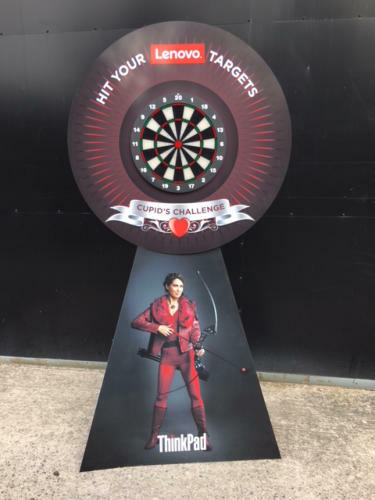 Branded Games Hire - Atue - throughout the UK and Europe Offering a wide range of branding options, whether it is a simple logo on a plain white background or a full colour laminated wrap our graphics company can supply all of your requirements. 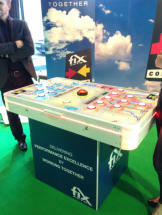 A branded game can be used to reinforce your message and draw attention to your exhibition booth or stand. Custom made templates enable us to deliver personalised messages for your event, for Batak Lite branding and Batak Pro branding we use a wide variety of materials ranging from foamboard and banner material through to brushed aluminium and where necessary, we employ both laser and water jet cutters to achieve the shape and finish desired. 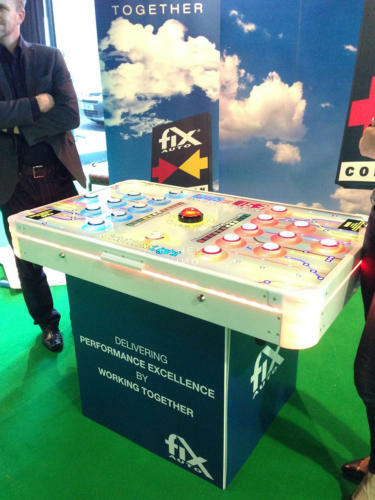 For our two player Batak style reaction table we can brand the plinth and even the top playing surface with high resolution, full colour graphics. 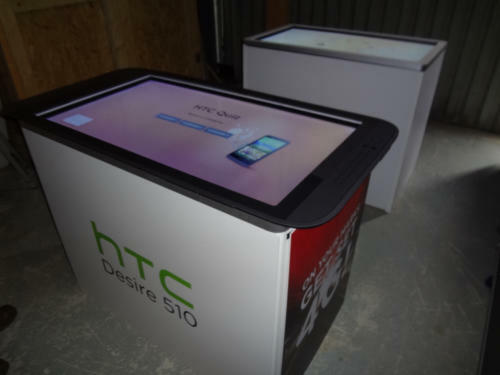 Our Multitouch Tables and Multitouch Screens can be fitted with full colour branding to the plinths and we even offer the opportunity to insert your logo, branding and/or message into the actual game software. Branding an interactive game gives many of our clients the opportunity to ‘make the game theirs’ for the duration of the hire period. 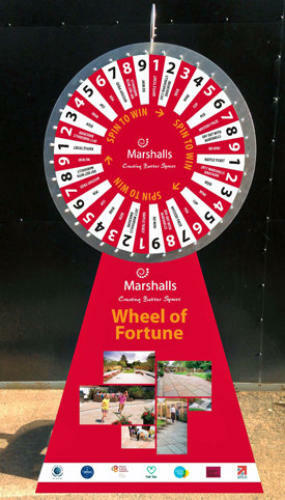 If you have several events we hold onto the branding until it is required again. 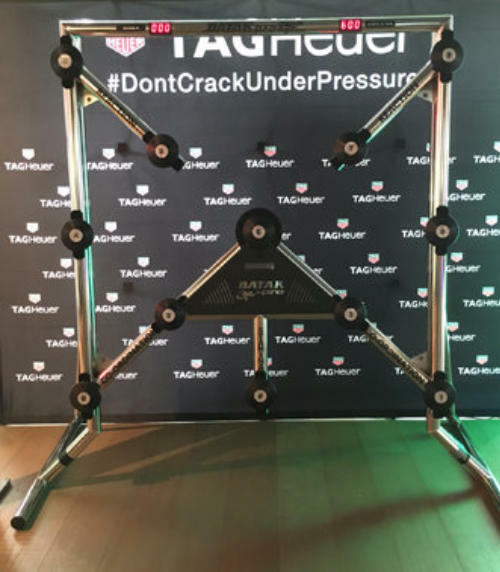 We have been offering branding for interactive games for over 15 years and our close ties with specialist graphics contractors give us the opportunity to work with the most experienced technicians and the very latest technology. We send full scale templates to enable you to originate your design, return your ready to print artwork to us and we produce and fit the graphics for you when we arrive to set up the equipment at the event. 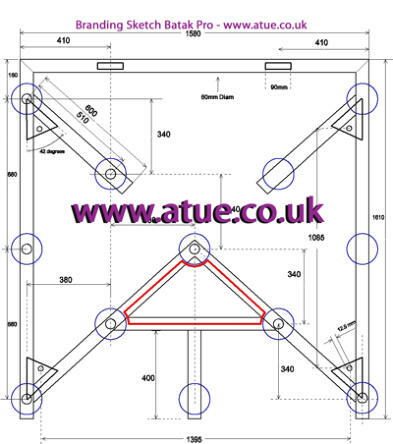 Mock ups are available as an extra charge option. 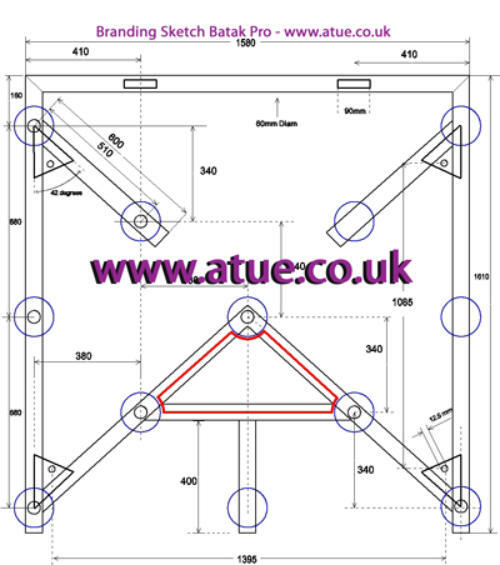 Atue - Branding Offering a wide range of branding options, whether it is a simple logo on a plain white background or a full colour laminated wrap our graphics company can supply all of your requirements. 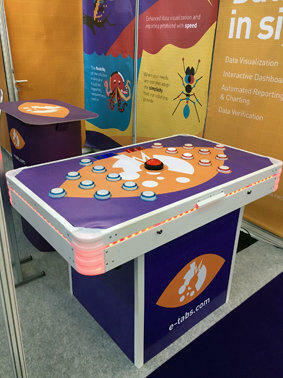 A branded game can be used to reinforce your message and draw attention to your exhibition booth or stand. Custom made templates enable us to deliver personalised messages for your event, for Batak Lite branding and Batak Pro branding we use a wide variety of materials ranging from foamboard and banner material through to brushed aluminium and where necessary, we employ both laser and water jet cutters to achieve the shape and finish desired. For our two player Batak style reaction table we can brand the plinth and even the top playing surface with high resolution, full colour graphics. 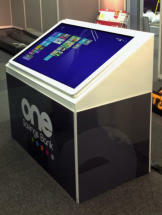 Our Multitouch Tables and Multitouch Screens can be fitted with full colour branding to the plinths and we even offer the opportunity to insert your logo, branding and/or message into the actual game software.